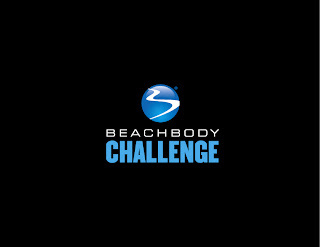 I'm so very excited to be hosting a Beachbody Challenge over the holidays. This is going to be very small and intimate with just 5 people. We all will commit to our fitness goals, health goals, diet, and stay accountable to one another. We will all be in this together and I will be hosting starting in December. What is so cool about these challenges is that we will all be doing the SAME THING! We will all be doing a workout program, drinking Shakeology, tracking our progress, staying connected in our private facebook group, etc. 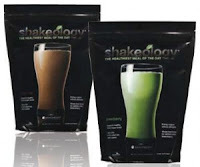 So if you are thinking “Well I don’t have Shakeology” well then YES what I am saying is you will have to commit to getting on Shakeology and drinking it 1 time per day. This will be a commitment for the 5 people I take in and I want us all to be 100% committed… I plan on giving 110% of myself to YOU to help you reach success and I want you to do the same! By joining my challenge you will automatically get 1 month FREE of Beachbody Club membership. This is a great tool to have for all of us because we will all be starting at a different point in our fitness so with the club membership you will get a customizable meal planner that will make reaching your goals even EASIER. Oh, and another HUGE BONUS is you get 10% off all your Beachbody products by being a Club Member and go into daily drawings when you track your workouts to win CASH just for working out. Before I recap the exact details I want you to ask yourself these questions…. I think we all want those things and THIS challenge is the answer to help you achieve those goals. It takes 21 days to create a habit and with this you will have others looking to see if you did your workout and hearing from YOU that day so that accountability will keep you on track! So, are you interested? OF COURSE YOU ARE .… Before I break it down for you FIRST you need to go to https://www.teambeachbody.com/signup/-/signup/free/120048 to sign up for a FREE account with me so I am your official Beachbody Coach. Now, Let me break it down for you….. So I've been tracking my weight and measurements since September, gradually quit Diet Coke, started eating better, and in October started drinking Shakeology and exercising at least 3 times a week. 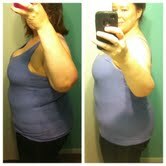 Results so far are 5.6 pounds down and 15.5 inches lost! (Down 11 pounds since Jan 1st) Woohoo! I'm still working hard and adding the 4th workout per week. For some reason, slow change works for me. 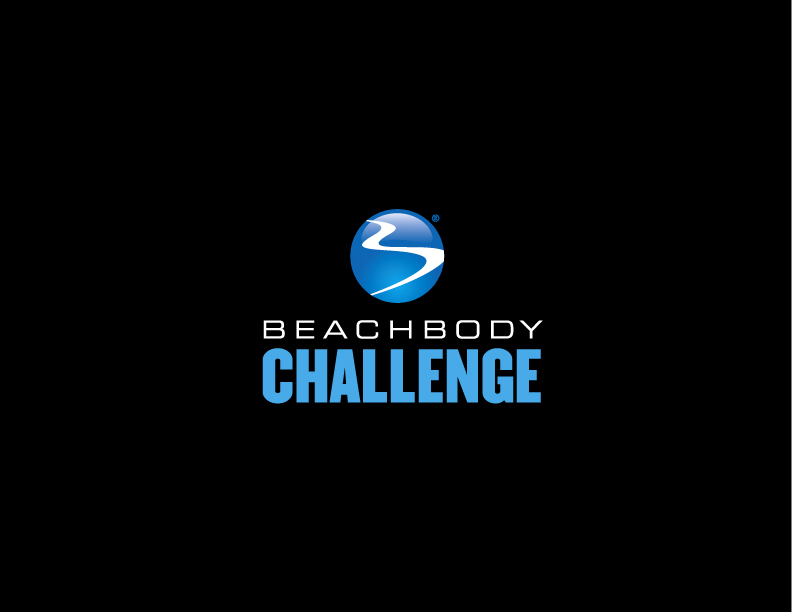 The Beachbody Challenge Packs are available to order now! Two ways you can get the packs. Either way, you will need to fill out information about yourself before moving on to what pack you want to purchase. If you love helping people get into the best shape of their lives and get paid to do so or just want in on the 25% discounts, go to michelleattaway.com and click "coach" to sign up as a coach. After that, I believe you will be able to choose which pack you are interested in purchasing. Remember, the first month coaching fee is waived! That's a savings of $40! Every month after that is $15. If you have any questions, feel free to email me at michelle.attaway75@gmail.com. This is my first ever challenge to sponsor and I'm so excited and can't wait to start!! I'm looking for a group of 5 people to participate in a Beachbody Challenge. On November 1st, Beachbody will be selling Customer Packs that will include 1 fitness program, 1 Shakeology HD (home direct-automatically sent to you each month unless you tell them otherwise), and 1 FREE month of Club Membership (if you don't want club membership after the first month you will have to cancel but if you decide to keep it you recieve 10% off future orders including the next month's Shakeology). You will need to order on November 1st and we will start the challenge on November 11th. Until then, you can sign up at www.michelleattaway.com to sign up for FREE membership. When you do that, I become your coach and once you fill out your profile, you can enter the SuperGym to log in your workouts. On 11/1/11 from 6AM PT to 7AM PT, the WOWY SuperGym will pay out $1, 111 to someone who took the Beachbody Challenge! On 11/11/11 login in the WOWY SuperGym at 11:11AM PT and they will pay out $1,111 to someone who took the Beachbody Challenge! So workout people! So, I'm looking for my first 5 people to commit to 90 days of working out, drinking Shakeology, and changing their lives for the better. I will be working out too and I will even create a private Facebook page so we can keep ourselves accountable. If you are someone who has been thinking about coaching and wants to participate in the challenge, guess what!?!?! If you purchase a Customer Pack, your first coach fee is waived! That is a $40 savings! Monthly fees after that is around $15 a month for 25% off future purchases from Beachbody. Below are the programs grouped by price. For example: if you choose Turbo Jam as your workout, you will receive Turbo Jam, Shakeology (choice of chocolate or greenberry), and a FREE month of Club Membership--all for $160. Let me know at michelle.attaway75@gmail.com if you are interested at all or have any questions that I could answer. I'm so excited about this challenge and I hope to hear from you soon!! Hello everyone! Just letting you know there has been change in our lives lately. Good change that is. The last time I wrote in our blog, was at the end of May 2011 when we bought our new house. So here is a summary of everything that has happened since. Jeff's dad helped us tear up carpet, paint walls, fix anything electrical, install appliances, move furniture, lay floor, and more all in less than a month. He did so much for us in such a short period of time and we are forever grateful for everything he did. The rest of Jeff's family helped lay the floor and move the heavy furniture to our house. My friend, Cassie, and her brother, helped me move the smaller stuff in 6-8 trips. In her words "we have a lot of stuff" lol. Yes we do and I'm in the mood to purge! Oh, and she helped prime the walls with a tiny brush because I wasn't smart enough at the time to use the roller. The house received a face lift inside. The ceiling and every wall was painted. I tackled the kitchen cabinets and did my best to make them look better than they did. The bathroom cabinets and a kitchen windowsill still need paint, but I'm saving those projects for the holidays. Jeff worked so very hard at his job, finishing the school year, packing, making decisions on the house and worrying about not being here to help every second. He also painted, sanded, helped pull up tacks, lay floor, and anything else that needed to be done. So as the new school year started, no full time music positions were open anywhere in the 30 mile area, and I started subbing again. I do love substitute teaching because it gives me the opportunity to be in other classrooms and to see how teachers organize their rooms and how they run their classrooms. The only thing I don't enjoy is the low pay but I do enjoy the days I have off to run errands. Jeff and I have been married for a year and two months now and we love each other more and more everyday. We are so appreciative of all our family and friends who have helped us along the way before we met and up to today. We have news! Our bid was accepted and so we are in the process of buying a house! Yay!! I'm so ready to move and get new flooring and fresh paint on those walls. So excited!! My wonderful hubby is cooking supper for us tonight. Yay!! Thank you so much to my lovely neighbors for the extra noise. Makes me ready to leave here faster. Oh, and I would like to thank my lovely hairdresser, Sherri @ the Cutting Room for helping me with my hair. I love it! Watch for more random updates from the new flooring to the unpacking! Happy Easter! I'm so glad the weekend is here. I have worked full time since spring break ended. I'm enjoying working with the middle school and will really enjoy the paycheck. The house hunt is still going strong. We looked at a house today that would be perfect except for the price. We shall see what happens. Just trying to be patient.